Spartan women were strong, both physically and mentally. The Spartan woman was educated, with knowledge of the arts, music, war, philosophy and much more, she was allowed rights that no other woman of Greece was afforded. Spartan women were the alpha women of the ancient Greek world, they wielded the most power, and in many ways had the most equality afforded to them by the state of Sparta. While the Spartan woman was much more free than Greek women, she still had a regiment to conform too, just as a Spartan man did. Sparta had a map for each citizen and they were expected to follow it for the good and continued success of the state. After a Spartan woman had passed her physical test at the age of 18 she was then granted full citizenship to Sparta. Which meant she was now eligible to be considered for marriage and was afforded many rights other Greek women were not. Spartan women as we have mentioned before were required to be physically fit and healthy. It was thought in ancient Sparta that healthy, strong women would give birth to healthy and strong children. 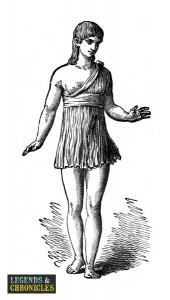 The physical exercise that the women would undertake would make them the true opposite of many women in Greece, by comparison the Spartan women would be strong and athletic by nurture, whereas the Greek woman would only be athletic by nature, and even so would not likely realise it. Spartan women also had many other benefits bestowed upon them, unlike their ancient Greek counterparts. They were not expected to eat as little as possible, instead they were allowed to indulge more, and were allowed to drink wine just like the Spartan men. Whether they were afforded more luxury due to the exercise they undertook that allowed them to burn more calories, therefore keeping their bodies trim and in shape we don’t fully know, but it seems a highly likely explanation. Unlike many of the other Greek women, the Spartan woman would not likely get married until her late teens or even her early twenties. While this is not considered an old age in modern times, in ancient lands this was not the typical age for a woman to marry. The exercise that Spartan women enjoyed would make them suitable for childbirth, strong and capable to carry a healthy child the Spartans believed. This would be one of the primary reason for marriage also, even though in the early stages of the marriage the woman and man would not be permitted to live together. This act was believed to make the relationship stronger, more full of desire due to the time apart. The actual marriage ceremony for a Spartan woman was not typical in any way, the term they used would be a captured marriage. Even though it sounds rather brutal it was not, although some parts of it could be considered rather cruel to do to a woman, even though a Spartan woman was not your typical example. The bridesmaids or maid of the woman would capture her, shave her head to the scalp and dress her in a man’s attire. Later the bridegroom would arrive from his mess hall and begin what would be the start of their secret marriage. It is though this practise continued with the new couple meeting in secret and would go on for many years until the man was 30 years old. Spartan women were credited for making Spartan men strong, their strong hand and firm belief in the state was though to be one of the many reason for the military might of the ancient state. Of course a Spartan women was just as likely to have a baby girl as a baby boy and the two while sharing an almost unparalleled level of equality in the ancient world were treated differently. A Spartan mother would have her son taken away for training around around age seven, while Spartan girls were allowed to stay with their mother until they were to marry. Motherhood was an important role for a Spartan woman, it was in fact her primary goal in life. Much of the manual labour of everyday life would be carried out by the state owned helots, leaving a Spartan woman time to consider motherhood, prepare for it, and give birth to as many strong babies as she could. Strong, physically fit and given more freedom than many other women in the ancient world, Spartan women were truly unique. Not only would a Spartan woman know how to fight and wrestle she would expect her offspring to learn the same, passed down from woman to woman, the ethics, morality, and life of a Spartan women was only possible at the time in the state of Sparta.